The Men: Ordinary, unsophisticated, hard working and decent; these are the Oyster Bay Baymen – the salt of the earth. These shell fishermen spend their days immersed in nature, riding currents that carry not the promise, but the hope of prosperity. With bare, wet, callused hands they pull steel toothed rakes through the sandy bay bottom, instinctively feeling their way for the day’s catch. Just one boat, one man, one pull at a time these Baymen carry on traditions that have not changed in centuries. Like their fathers and forefathers before them, Oyster Bay’s natural clams and oysters are both the Baymen’s life and livelihood. The Bay: Located on the north shore in the heart of Long Island’s “Gold Coast”, Oyster Bay Harbor is a three square mile inlet off the Sound that is richly steeped in shell fishing history. In its most natural state Oyster Bay’s flourishing shellfish provided the Lenape Indian not only with food, but also currency, tools and jewelry. Later called Matinecock, these American Indians lived off the bay for thousands of years, until ultimately selling the land to settlers in the mid-1600s. Named “Oyster Bay” by the Dutch for its abundance of shellfish, many of the Bay’s European settlers became shell fishermen. By the mid to late 1800s Oysters had become the main source of protein for New Yorkers, rather than beef. 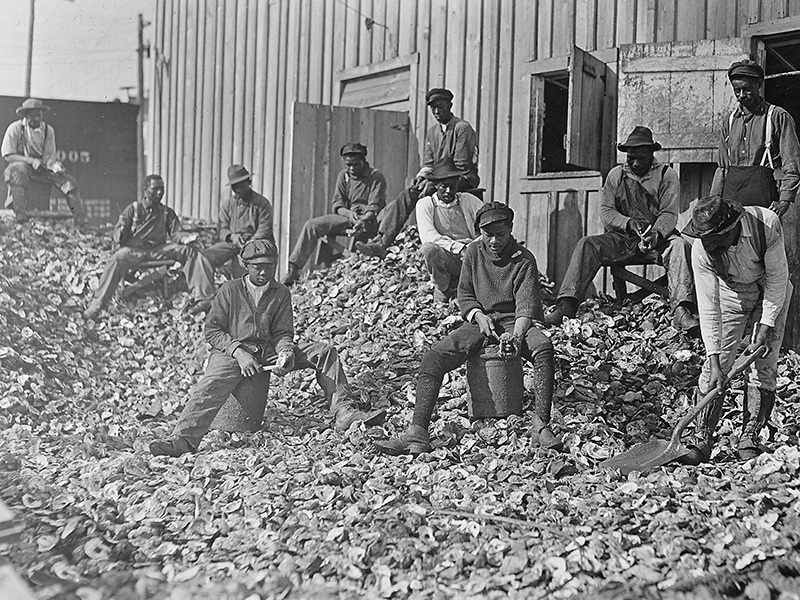 Oyster carts replaced hotdog carts and the poor fed their families with heaping buckets of shellfish that they gathered from beaches themselves. A seemingly endless supply met a seemingly endless demand. The perfect storm. 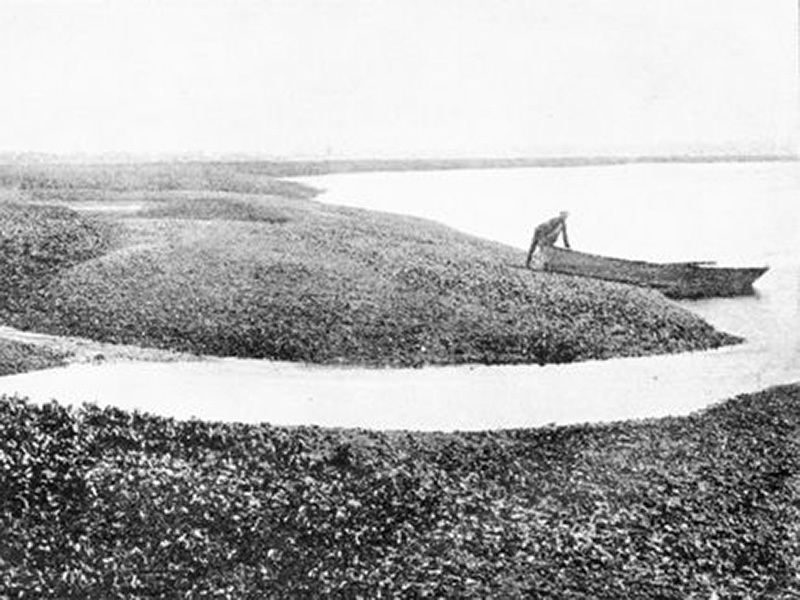 These centuries old shell fisherman, working from small boats and wielding hand held scissor-like rakes called “Tongs”, did more than harvest oysters and clams. 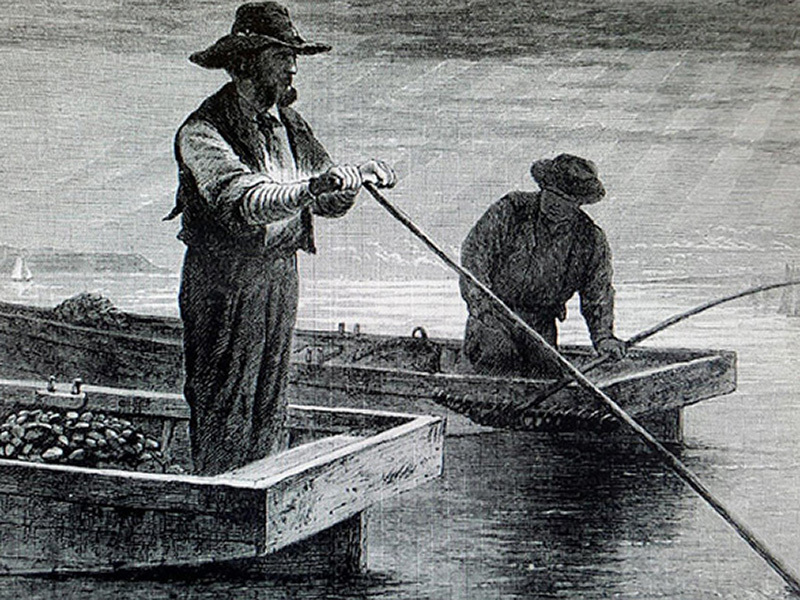 They formed the genesis of today’s modern-day Baymen of Oyster Bay. The Business: With an abundance of any valuable natural resource, like Oyster Bay’s once flourishing shellfish, comes business. And with natural resource-based business, so comes the need for regulation and responsibility. 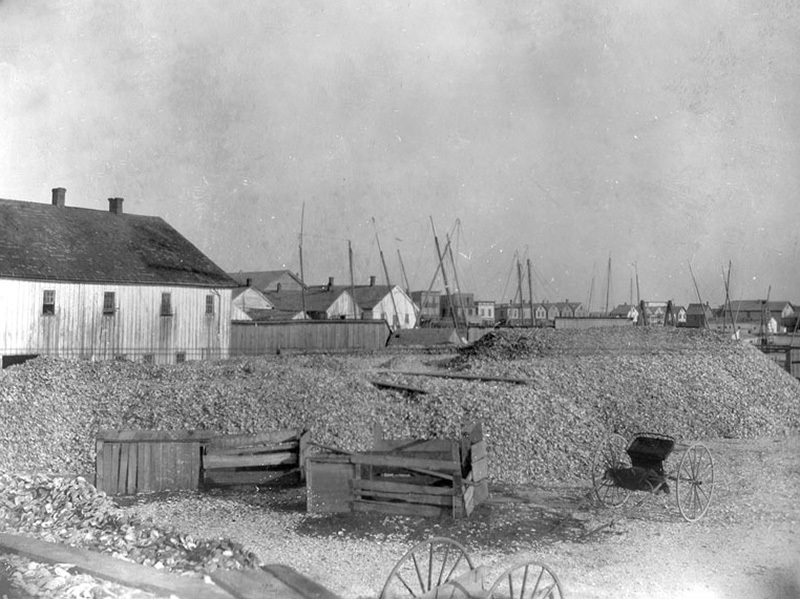 In the 1820s the town of Oyster Bay began dividing the bay bottom into sections for its resident shell fishermen. By 1937 one hundred fifty four individual leases divided the harbor’s bottom, with each leaseholder granted exclusive rights to the shellfish on that land. But as businesses grew over time, some grew stronger than others. Some grew faster than others. Eventually the more successful leaseholders began buying the smaller ones out. Some say forcing them out. 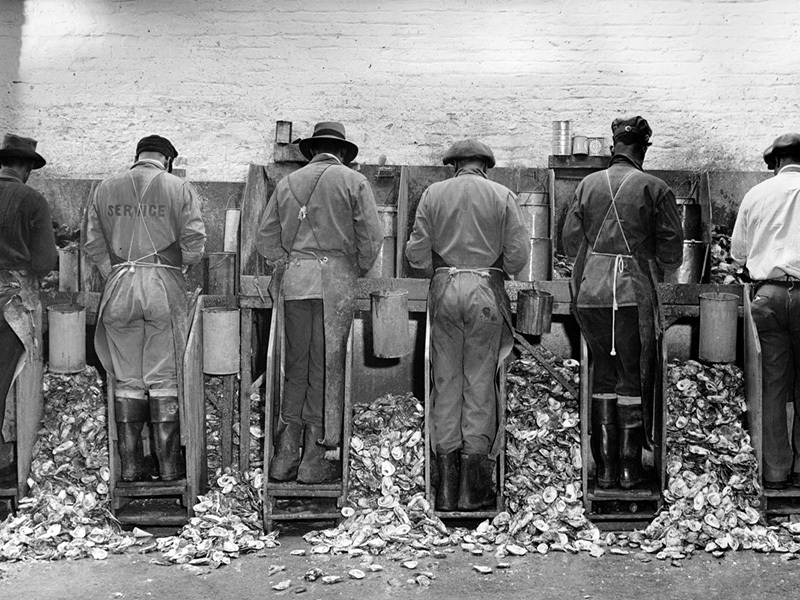 What began as equal opportunity for all in the 1800s, eventually lead to a monopoly by one company that ultimately consumed them all – the Frank M. Flower Company, who today own all the leases on every acre of leasable land in Oyster Bay Harbor. 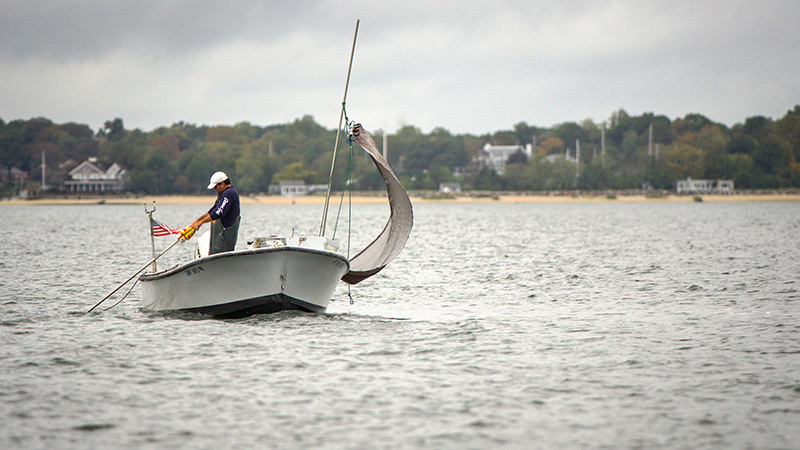 The Conflict: Harvesting shellfish requires movement, not only of the rake but also of the boat. Yet Oyster Bay laws restrict the Baymen from shell fishing under power. 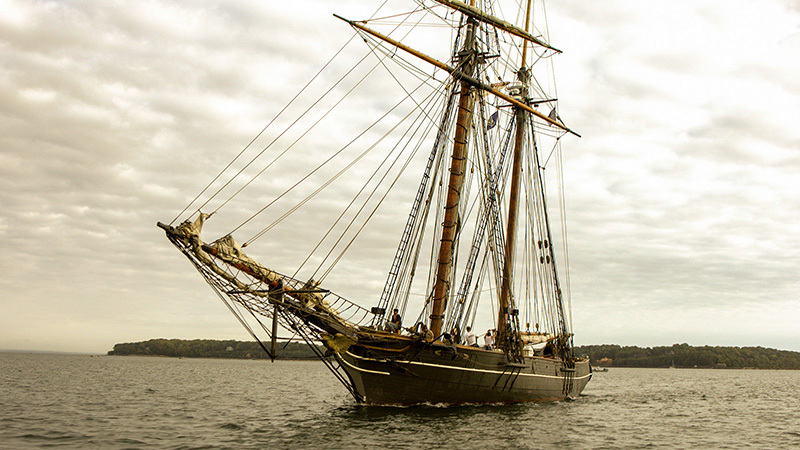 Instead they use sails to harness the wind, or catch currents by submerging sails in the water. Where and when the Baymen can shellfish is also strictly policed. The time of day, the tools they can and cannot use, the number and size of shellfish they catch – the Town’s Bay Constables and the Department of Environmental Conservation strictly police these laws and more. Along with the rain, the heat, the rough water and winter ice, Baymen accept these laws as religion. Every law that is, except for one – Oyster Bay Harbor’s number one killer, dredging. All day, all week, every week of every year the town of Oyster Bay neglectfully allows hydraulic shellfish dredge ships to operate in Oyster Bay Harbor. Unlike anywhere else in the Unites States of America, the devastation of hydraulic shellfish dredging goes on un-policed. Unrestricted. Unregulated. As Oyster Bay Harbor’s natural fish, crab, eel and even shellfish populations have fallen beyond unprecedented lows, Oyster Bay Baymen continue to point toward their reason – hydraulic shellfish dredging. Resolution: In an act of courage that echoes the biblical story “David versus Goliath”, the Baymen of Oyster Bay finally launched their small fleet into battle. Squarely aimed at one goal – to stop Hydraulic dredging in Oyster Bay Harbor – the North Oyster Bay Baymen’s association filed an ongoing lawsuit against the Town of Oyster Bay, the Frank M. Flower Oyster Company and the state of New York. 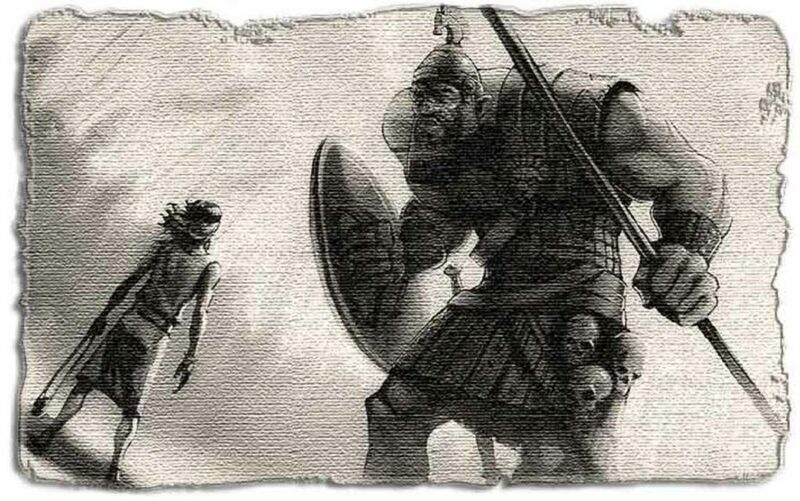 Faith: A common misconception about the story “David versus Goliath” is that David was a weak shepherd armed only with a sling, who fights the fearsome giant Goliath fully dressed in armor and deadly weapons. In truth David was a shepherd. It is more than likely he was also “unsophisticated”. But he was far from weak, or unarmed. David chose no armor because he knew its weight would slow him down. David chose his only weapon, a primitive sling, because he knew it’s true power. And much like today’s North Oyster Bay Baymen, who each now have entered the fight of their lives for the life of the bay, David armed himself with faith. I had the pleasure of eating Oyster Bay clams on the half shell this weekend. They were the best I have ever had. I can not say enough about them. I live in central CT and would like to know how I can purchase them via mail order.